LA Auto Show - as covered and photographed by the IN show. JAGUAR C-X75 Concept - direct from Paris, this stunning range-extending supercar concept pays homage to both the 75-years of Jaguar design and innovation and a Jaguar promise to the future to continue its legacy of building fast, beautiful cars; but now, with sustainable technology. FISKER Karma - "Responsible luxury." says Henrik kisker, CEO and executive design director for the California company. "The Karma is the perfect car for LA in its mixing world class styling and performance with industry leading economy and lower emissions than nearly any car available." PORSCHE 2012 Cayman R - L.A. Auto Show had the world debut of this newest member of the Porsche mid-engine family, now the lightest and most powerful model of any Cayman or Boxster! Making its North American debut is the 2011 911 SPEEDSTER being only the fourth model to carry the iconic name since the original 356 Speedster in 1953. In tribute to the original, only 356 will be built with 100 only heading to the U.S.
Also as part of Porsche's 60th anniversary celebration in the U.S., Porsche used the L. A. Auto Show as its North American choice to premier the 2011 911 CARRERA GTS. Available as a coupe or cabriolet, it brings more horsepower than the Carrera S and narrows the gap with the GT3. CADILLAC Aera Concept Vehicle - won the 2010 Los Angeles Auto Show Design Challenge, tying with SMART and besting entries from seven other automakers including Mercedes-Benz, Honda, Nissan, Toyota and Maybach. GM Advanced Design has now won the honor more times than any other design team with this victory its third since 2005. Cadillac, as a General Motors brand, has long been considered to be hotly desired luxury car and General Motors continues to push forward and press ahead in order to garner the lead in an ever growing, premium, global marketplace. The 2011 SRX Luxury Collection is considered season's best, due to its fusing of dramatic presence, advance intuitive technology and flexible storage space, all crafted to the highest level of detail. The SRX has earned its title, "The Cadillac of crossovers." Press Days: L.A. loves green. Los Angeles, CA - This year's L. A. Auto Show "marks the historic arrival of the modern electric car." Although the electric car has been a concept for decades, it is only now - with what seems as though years of anticipation - consumers can finally purchase mass-produced electric vehicles complete with factory warranties. A short list of some of the highly anticipated vehicles to kick-off this modern era of electric vehicles include CHEVROLET's range extended electric Volt, NISSAN's battery electric Leaf, SMART's fortwo electric drive, and the FORD Focus EV. 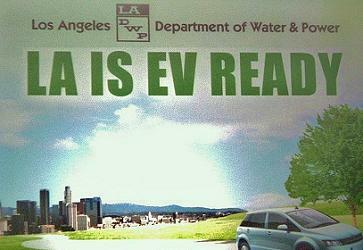 Interestingly enough, Los Angeles has been steadfastly preparing the way for electric vehicles. With courses being offered around the county, a green-focused site (GoElectricDrive.com ) launched during Press Days, and the fact that it is to be one of the first markets to receive the Volt and the Leaf in November and December of this year. If you can make it out to the L. A. Auto Show, it would make for the perfect opportunity to learn all about electric vehicles, ev ownership, and electric transportation's progress in the coming years. 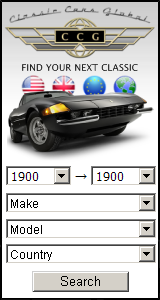 If, however, you can't make it to the Auto Show, the "IN" show will be sure to keep the information rolling along. smart USA showcases its 2011 smart fortwo and smart fortwo electric drive. FORD does it again by providing truck lovers out there with the Ford Truck Eco Boost which won the 2011 best in class for towing. 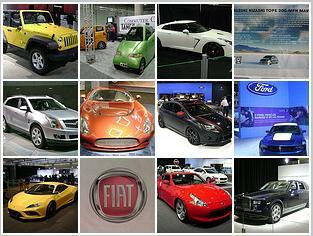 LA Auto Show 2010 Photo Gallery. as photographed by the "IN" show. Los Angeles, CA - To say that the L. A. Auto Show Press Days were great fun and extremely interesting would definitely by making an understatement! 'Tis too true, a picture IS worth a thousand words, and so, without further ado, we invite you to view all of the pics as organized in the "IN" show's Flickr collection. We truly hope you enjoy the pictures as much as we enjoyed taking them! Here's the link. Cheers!